The Digital Research Library of Illinois History Journal™: Pinners is a Chicagoland Baseball Game Played by Children Living in Congested Neighborhoods. Pinners is a Chicagoland Baseball Game Played by Children Living in Congested Neighborhoods. Pinners is a Chicagoland neighborhood game played on the front-stoop or against walls with angled trim-work (brick or stone) which can be used to pop the ball up in the air. References and accounts of playing exist to the 1960s or earlier. The batter would throw a rubber/tennis ball at the edge of the step or angled wall brick, and the fielder(s) would try to catch the ball as it bounces back. The scoring rules are similar to baseball, but with runs being virtually determined by where the ball lands. A single, double, triple or home run would be predetermined landmarks (i.e. sidewalk, trees, cars, street, curb/sidewalk lines) from the batting area. A catch is an out, and a one-handed catch could be used for a "rushie." As with most neighborhood games, rules varied by the groups playing and house rules would be determined at the start of the game, including the base locations. The game utilizes traditional Chicago neighborhood row house architecture (Chicago bungalows), with most houses having a front stoop or stairs that lead from the front door to the sidewalk that can be used. 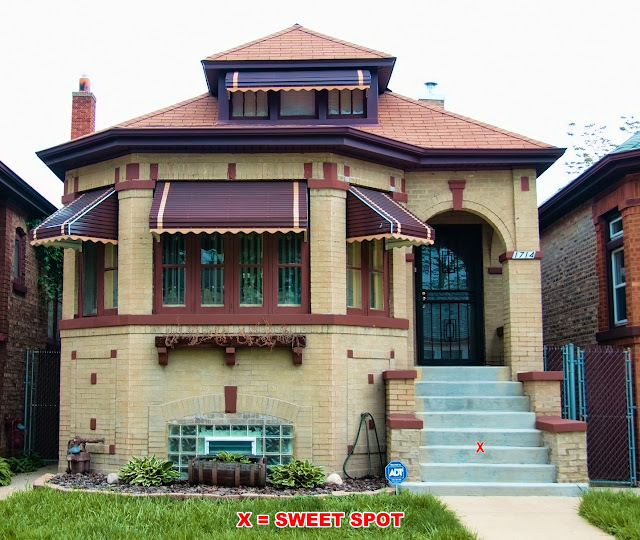 Many of the schools built in Chicago also have a "perfect" angled section of brick which can be used for the game, and often neighborhood kids would paint a box with an X marking the angled sections. Some kids called the game "Ledge" or "Bounce Out," but those were not the common name in the Chicagoland area. Double Play; A play in which the fielder catches the ball creating an out, the fielder may throw or lob the ball so that it bounces once on a step that is parallel to the ground. The fielder may move to catch the ball after the throw. The fielder who did not catch the ball for the original out may move before the ball has been thrown in order to catch the ball for another out. The throw to the step may hit the a part of the step that is parallel to ground once, but may hit a part of the step that is perpendicular to the ground as well, the ball however, is a dead-ball if on the throw it bounces of a backstop before being caught again. Rush Hour; A play in which the ball is out of play, either by foul ball, home run, or a misplay by the fielder, the fielder must throw the ball to the batter from where he stands or the batter may call stalling if the fielder is walking before he has thrown it in. Rushies: A one handed catch, leading to an automatic three outs. The player catching the ball with one hand is allowed to run towards the batter's box and throw the ball while the opposing team is in transition from offense to defense. Stalling; When called the batting team is awarded a single without the batter, who would be up, having to sacrifice their turn in the order. As many cities, as many neighborhoods, as many kids who played outdoors, is as many names and versions of this simple neighborhood street or sidewalk game. Well written and so good to keep the memories alive, as the way children play changes with the times. Wow, never thought I'd see a story on this! We called it Pinners, too. I never heard of the ball you describe, though. 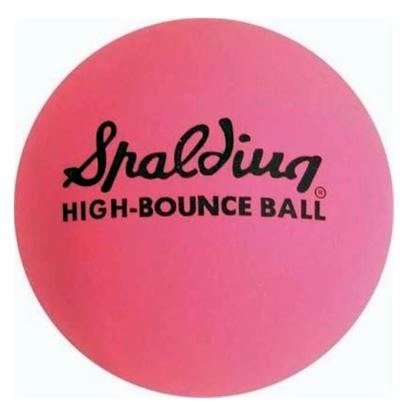 We used to always play with a Hedstrom rubber baseball, the kind we used for "Strikeout" or "Fast Pitch". These balls you could find at pretty much every local drugstore. When we didn't have a dollar to buy a new ball, a tennis ball worked just as good. Amazing local lore story!